Happy Thursday! Today I'm here to share the coordinating blenders and solids that match Dreamin' Vintage! 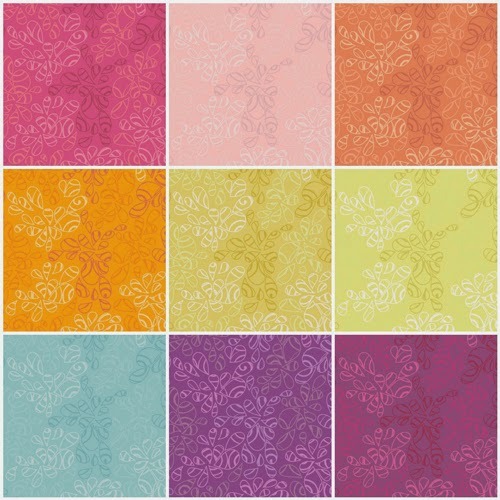 Art Gallery Fabrics has lots of beautiful blenders that work well with this collection! Pure Elements: PE-405 Cherry Lipgloss, PE-411 Quartz Pink, PE-420 Crystal Pink, PE-438 Coral Reef, PE-406 Burnt Orange, PE-449 Mandarin, PE-444 Peach Sherbet, PE-435 Banana Cream, PE-448 Canary, PE-409 Light Citron, PE-416 Lemonade, PE-414 Dark Citron, PE-424 Mirage Blue, PE-434 Tranquil Waters, PE-415 Parisian Blue, PE-425 Mauvelous, PE-453 Purple Pansy, and PE-401 Verve Violet, PE-433 Snow. 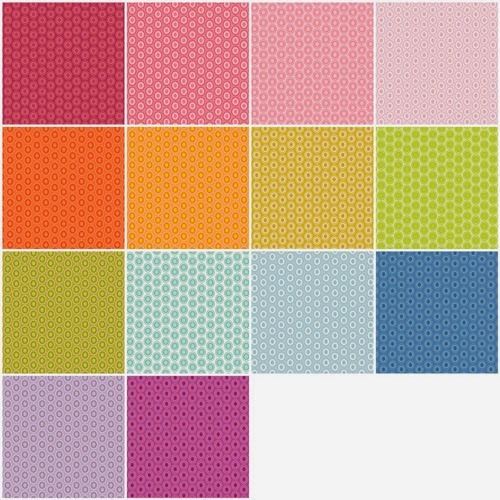 Squared Elements: CST-3101 King's Road Fuchsia, SE-600 Watermelon, SE-601 Rosewater, SE-615 Mandarin, SE-602 Honeycomb, SE-609 Citrine, SE-603 Lemongrass, SE-610 Lime, SE-605 Turquoise, and SE-612 Blueberry. 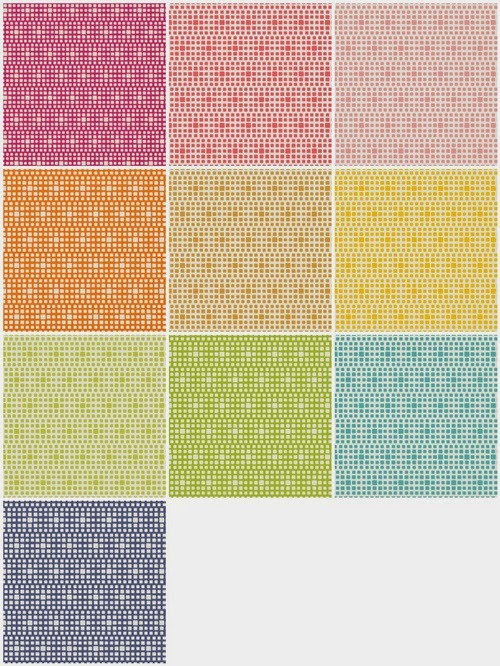 Oval Elements: OE-913 Cranberry, OE-910 Sweet Pea, OE-922 Parfait Pink, OE-904 Petal Pink, OE-928 Tangerine Tango, OE-901 Papaya Orange, OE-911 Golden, OE-902 Green Apple, OE-907 Chartreuse, OE-920 Mist, OE-933 Powder Blue, OE-932 Sapphire, OE-902 Amethyst, and OE-908 Crocus. 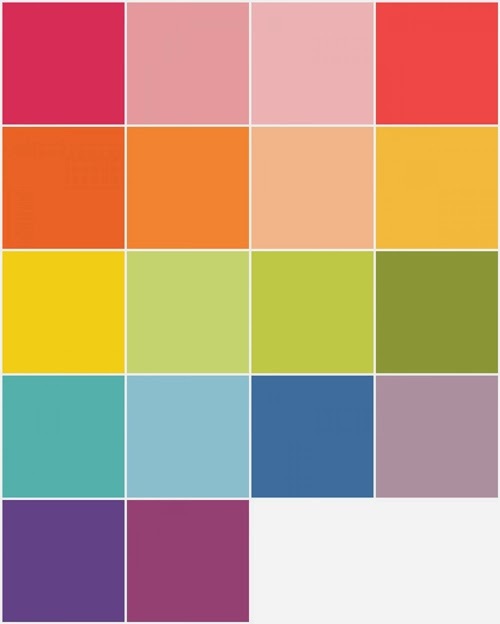 Nature Elements: NE-111 Hot Pink, NE-109 Veiled Rose, NE-106 Orange Peel, NE-119 Sweet Mango, NE-105 Mimosa, NE-116 Lemonade, NE-101 Blue Light, NE-110 Orchid Bloom, and NE-127 Cyclamen. 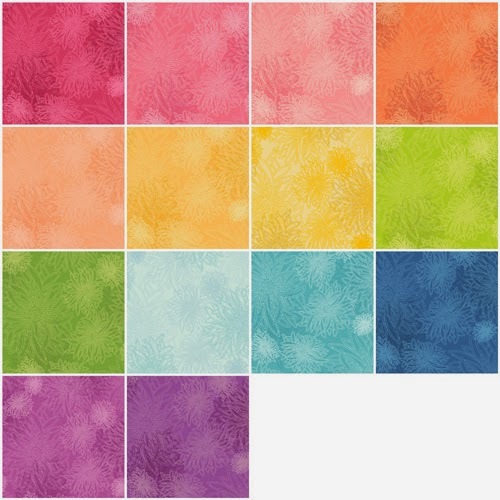 Floral Elements: FE-515 Shocking Pink, FE-528 Bubblegum, FE-502 Blush, FE-525 Tangerine, FE-517 Sunset, FE-520 Custard, FE-506 Sunflower, FE-524 Kiwi, FE-527 Lettuce, FE-519 Icy Blue, FE-508 Aqua Haze, FE-510 Lapis Lazuli, FE-531 Grape Jam, and FE-512 Iris. 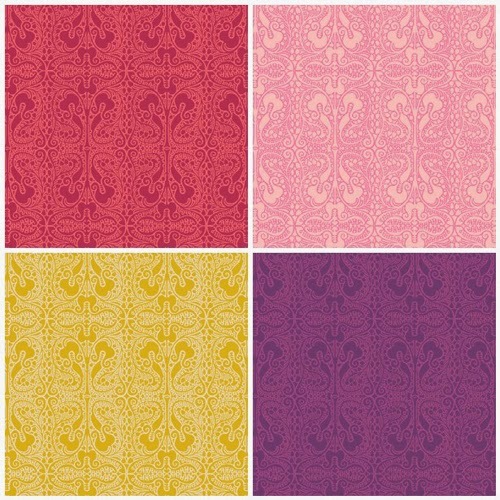 Lace Elements: LAE-1301 Cherry Lace, LAE-1304 Pink Lace, LAE-1300 Gold Lace, and LAE-1307 Plum Lace. I think this was awesome. Thank you for spending the time to find all these matches. or almost matches. When I teach quilting, I find that beginners always everything to match exactly. Using blenders is a great way to soften then colors. Do this again! Thanks for sharing! I'm loving the new fabric line and coordinates. The colors and patterns are really eye catching. Great job! Thank you for this! I'll be bookmarking it for easy reference. 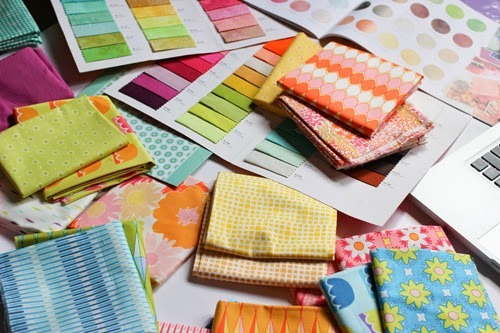 When will the fabric arrive at the Sewcial Lounge? I'm looking forward to it! And we love all the posts, keep them coming! It's supposed to arrive next week! I think maybe Wednesday or Thursday! Very helpful. I want them all. 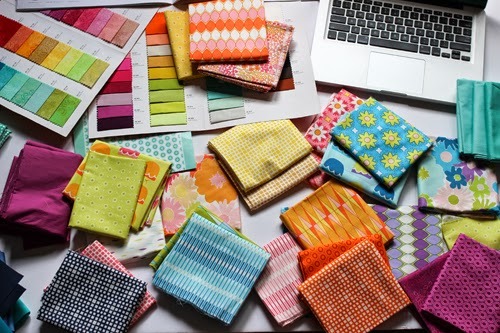 What a dream, so many colours and textures to play with!